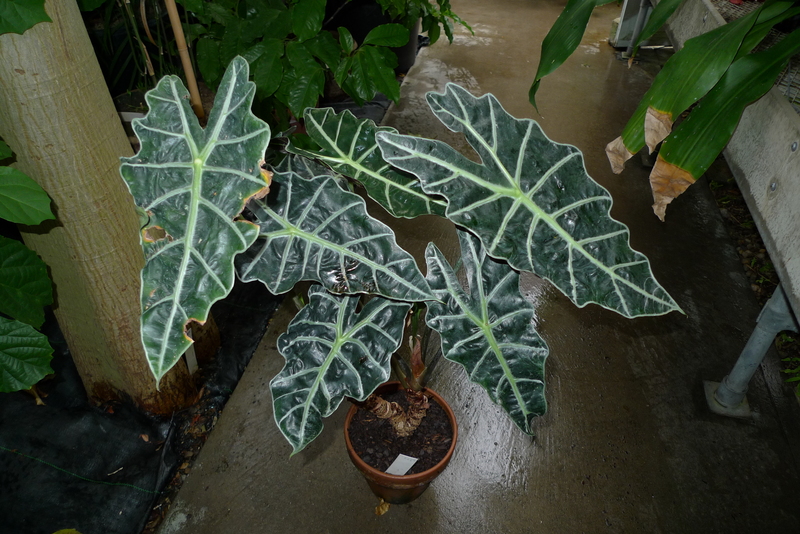 Alocasia Amazonica hort., nom. inval. 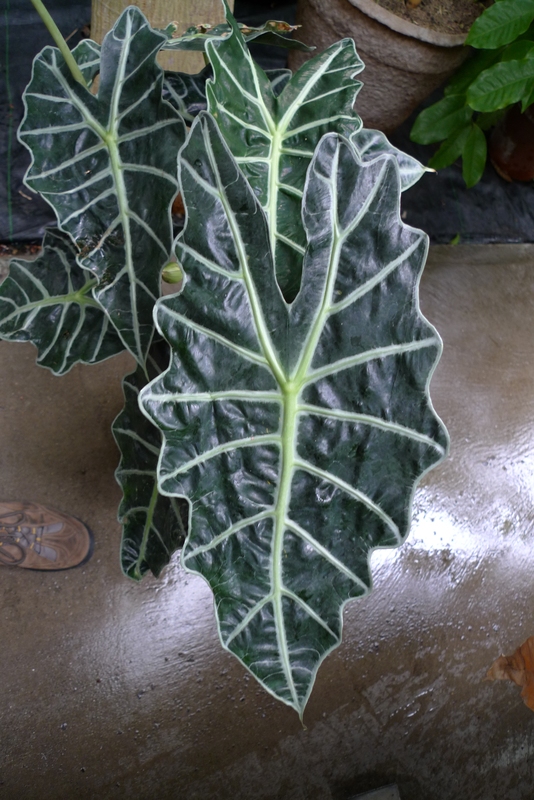 Differs from A. Sanderana in having leaf blades to 2 feet long and 1 foot wide, undulate. Typically has leaves 12-24 long by 6-11" wide. The upper surface of the leaf is dark green and the midrib typically limish-white. The primary lateral veins are surrounded by white-silver zones and some clones have an extensive network of silver veinlets between the primary lateral veins. The lower surface is typically matte purple with a green-white midrib and major lateral veins. Between the laterals on the lower surface the veinlets are pale green-white. 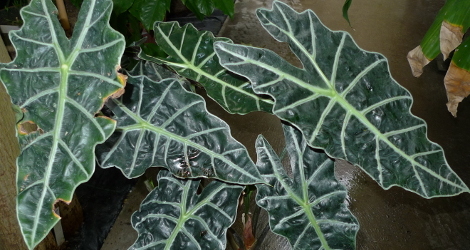 The petiole is typically 15" long and is green with dull brown variegation in he lower half. The corms are white with a tint of very pale pink. The basal lobes are connate to about 40% of their length and are typically 5-9" long. 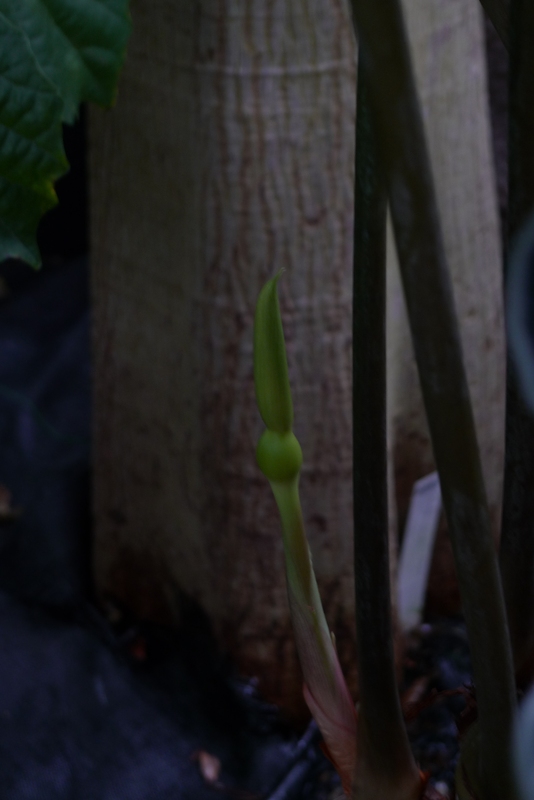 Provenance: original plant acquired from Logee's Greenhouses as Alocasia x amazonica.